Nobody wants to suffer from bag separation, and traveling with plain-jane luggage is risky business — a good way to lose track of your bag. Whether you’re bag checking or traveling carry-on, you can be sure you’ll leave with your own bag with a unique, recognizable luggage tag. You’ll also ward off less observant travelers that may accidentally grab your bag. 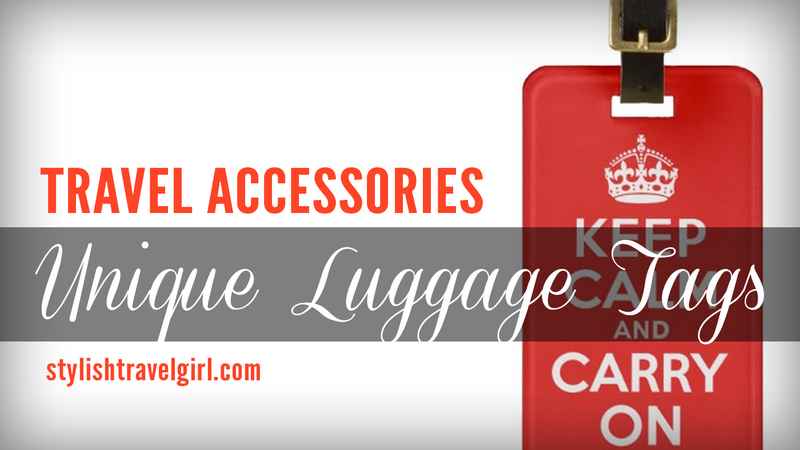 We searched high and low to bring you 10 of the Internet’s best unique and recognizable bag tags, sure to provide instant bag identification, at even the busiest of airports. Hope you enjoy! Customize this cutesy floral luggage tag with your name and initials. Available on Zazzle.com. 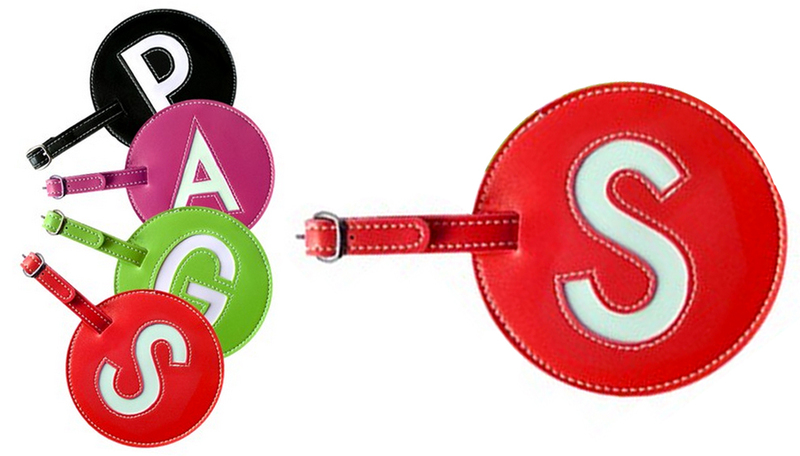 Steer clear of the traditional tag shape with these circular initial tags. Buy a set of 2 from Target.com. Also available on Amazon.com. “Who” better to keep an eye on your luggage than this cute little owl by Kate Aspen? Available on Amazon.com. 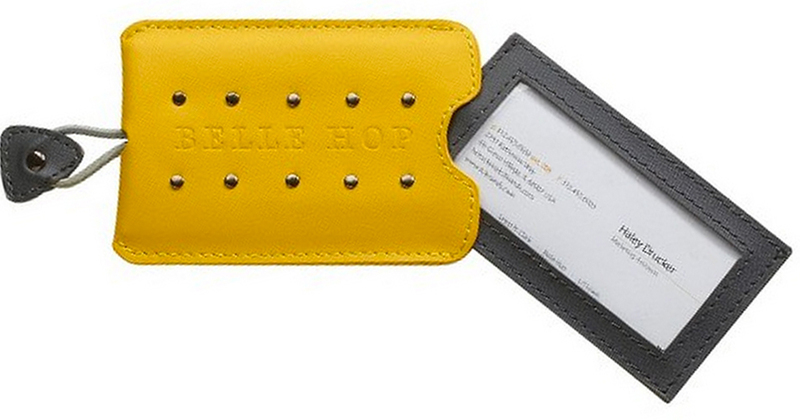 Slide a business card in this luggage tag for a quick and stylish bag marker. Available at Target.com. This one looks similar to a TLR cam I carry around with me. Get this vintage tag on Zazzle.com. 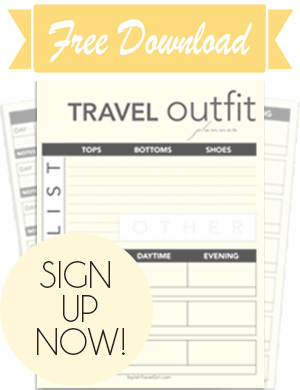 This dress and shoe are two varieties of Travel Smart tags available at Target.com. This colorful tag’s got artsy vintage style. Available on Zazzle.com. 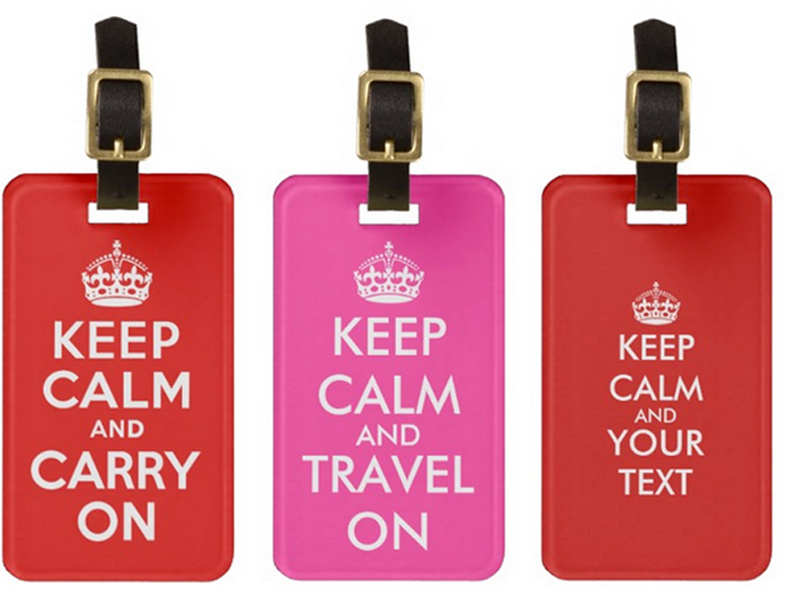 Make your luggage scream your name with this unique and customizable tag from Zazzle.com. 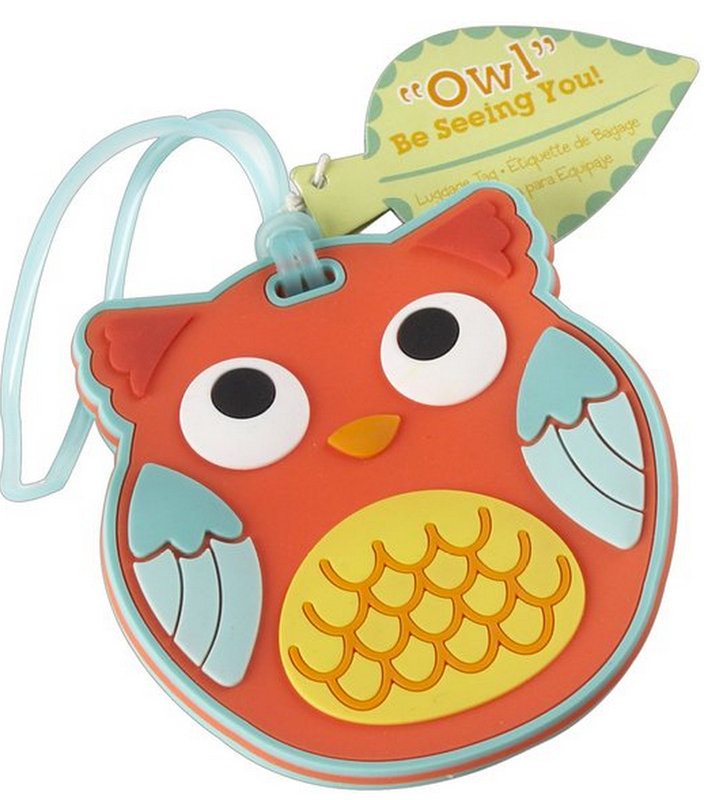 If sparkles are your thing, glam up your boring bag with this luggage tag. Available on Zazzle.com. 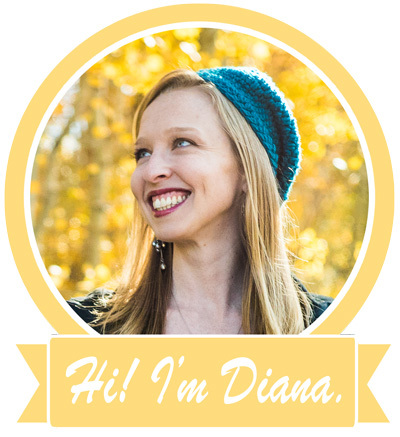 We want to get to know you better! 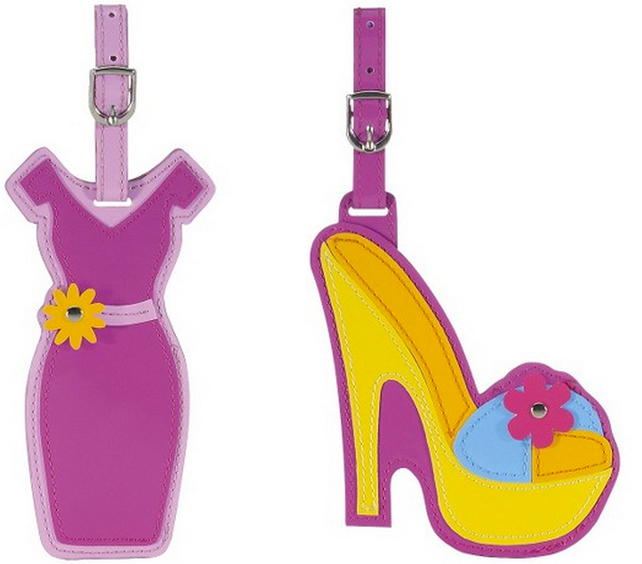 Did any of these bag tags catch your eye? Have you found a foolproof way to identify your bag? Please share with us in the comments below. 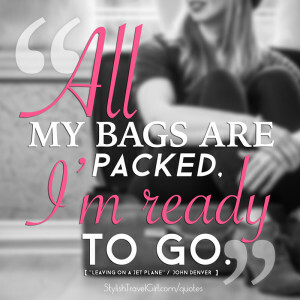 Pink glitter sparked luggage tag….go to website to order aaand..
Lol. Wife likes glitter and this is not glitter tag. Sigh. ← Lucy Hatha Leggings: Worth the Price Tag?